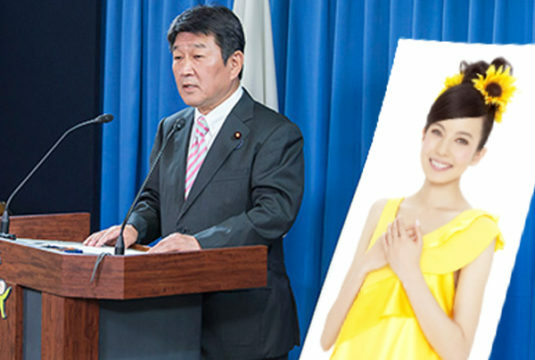 The government has announced it will setup an investigative committee exploring Becky’s involvement in LDP lawmaker Kensuke Miyazaki’s extramarital affair. “As a celebrity with a history of dubious habits of being female, Becky will be thoroughly investigated in relation to Miyazaki’s extramarital affair carried out while his wife was pregnant,” a government spokesman announced. Becky will be called before a parliamentary hearing to explain her actions surrounding Japan’s first ’paternity leave’ lawmaker’s affair. “Miyazaki’s wife was too busy trying to give birth to give her husband the love and attention he needed – at this point we can only speculate as to the extent of Becky’s misconduct,” the spokesman told reporters. The public has largely sympathized with Mizayaki’s resignation but has called for Becky to be severely punished for being a loose “bicchi”.